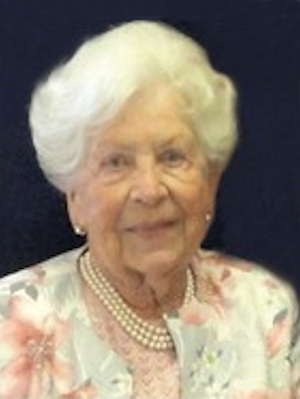 Obituary – Rhodes, Marie (Taylor) « Perry High School Alumni Association, Inc.
Marie Taylor Rhodes was born March 6, 1924 in Perry, OK. She passed away Wednesday, September 27, 2017. Marie graduated from Perry High School in 1942. She later moved to Mountain View, OK and then to Oklahoma City, OK where she resided for more than 65 years. She was one of the earliest members of Hillcrest Presbyterian Church and was recently recognized by Myrtle Lodge Eastern Star with a 70 year pin. Marie also worked every election in her precinct for 40 years, most recently as an Election Judge. One of six children, she always loved the opportunity to return to Perry for the Cherokee Strip Celebration, class reunions, and other special events. It allowed her to see and catch up with many friends, classmates, her mother, and especially her brother, longtime Perry Daily Journal employee Gene Taylor. Marie was preceded in death by her husband, Preston Benjamin Rhodes; son, James Rhodes; parents and siblings. She is survived by her loving family: daughter, Marilyn Rhodes of Evergreen, Colorado; sons, Gene and Kenneth Rhodes, both of Oklahoma City, Oklahoma; daughter-in-law, Linda Rhodes of Norman, Oklahoma; granddaughter, Jennifer Riggs and her husband, Alex of Norman, OK; granddaughter, Cassie Dooley and her husband, Trent of Dallas, Texas; 3 great grandsons: Clayton Riggs, Mason Riggs and Phoenix Dooley; many other family members: Barbara Sadler of Oklahoma City; Sandy Bentley, Willie Bishop, RJ Bentley, Norman, OK; Julie Leonard (Skip), and great godchildren Elwood and Elizabeth Leonard, Ft. Myers, Florida. Services will be held at Hillcrest Presbyterian Church in Oklahoma City on Wednesday, October 4, at 10 a.m with interment at Resthaven Memory Gardens in Oklahoma City, Oklahoma.